1780 sf attractively updated 2 storey plus bsmt townhomew/gorgeous laminate hardwood flrs in desirable Cedarbrooke Village boasts lots of accommodation for the family & entertaining & convenient loc. 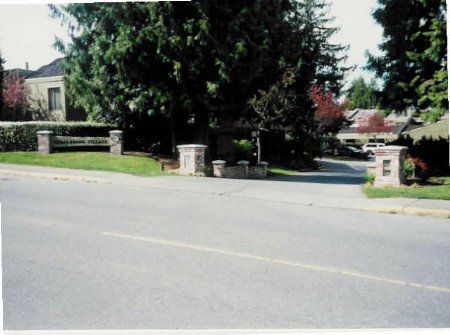 close to all amenities in Langley City. Greet your guests in the foyer w/tile floor. Entertaining is easy in the sunken liv rm w/gorgeous laminate hardwood floors, cozy wood burning fireplace & dr to west facing patio. Spacious din rm w/laminate hardwood flrs. Kitchen designed for the serious gourmet w/laminate hardwood flrs, european style cabinets, sunshine ceilings & lots of cupboards. 3 spacious bdrms on the upper level including master w/2pce ensuite. Lower level boasts spacious family rm, den/bdrm and workshop. West coast styling complimented by the treed setting & convenient location across the street from the beautiful Sundel park & just a short walk to the miles of walking & biking trails along the Nicomekl river. The conveniences of Langley City are all within minutes by car.